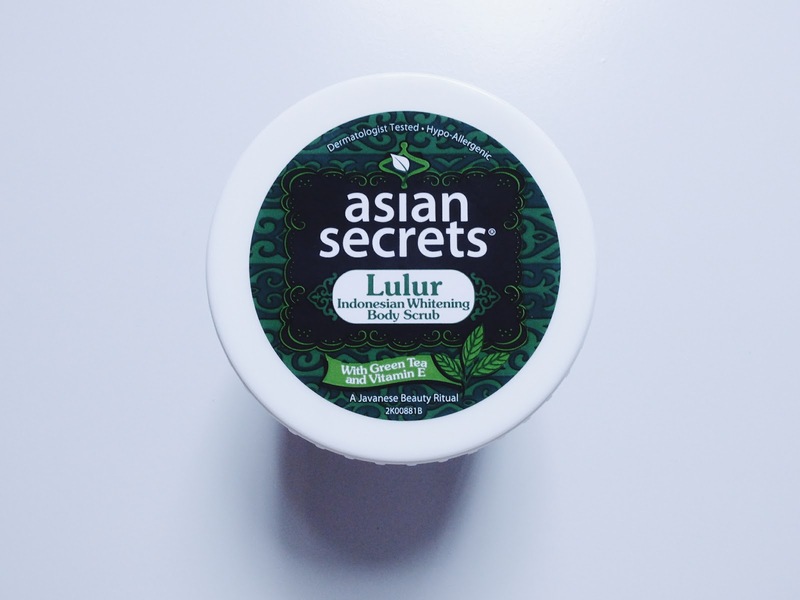 The kind peeps of Asian Secrets sent me a tub of their body scrub and herbal soap for promotion of their month-long sale, and I figured why not squeeze in a quick review of the product. I'm in no way an expert when it comes to these things but I can safely say naman na I'm no stranger to it. I do indulge in a body scrub every once in a while, a little pamper yourself session (mostly it's a combo of scrub for my face and body and hot oil for my hair) on a Saturday night when I want to stay longer in the shower after a tiring work week. But I'm not very particular about the brand, I just use whatever's available (aka what my mom bought). I've never tried any Asian Secrets product before but I do know about it because of their TVCs that featured Solenn Heusaff. Scent: Somewhere in between spa-like and soapy. I love it actually because it's relaxing and you smell so squeaky clean afterwards! Texture: Creamy consistency but not sticky at all. 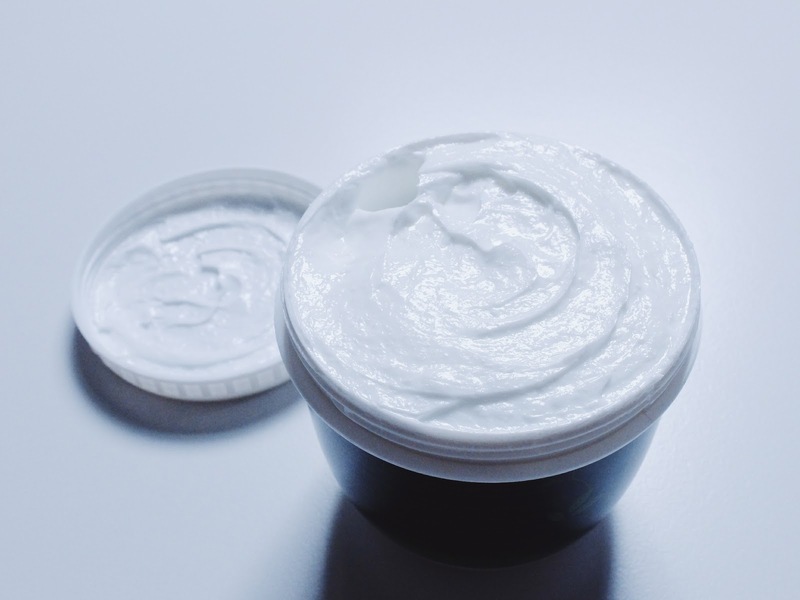 This one's very easy to apply and evenly spread throughout the skin. The beads were really fine and not harsh to the skin. I remember using scrubs before that left my skin feeling raw and itchy when dry. Availability: Asian Secrets Lulur Indonesian Whitening Body Scrub is available at all leading drugstores, personal care stores and supermarkets nationwide. They're even available on Lazada now! None so far. It's supposed to reduce skin pigmentation in areas prone to darkening but I have yet to find out if it's true. 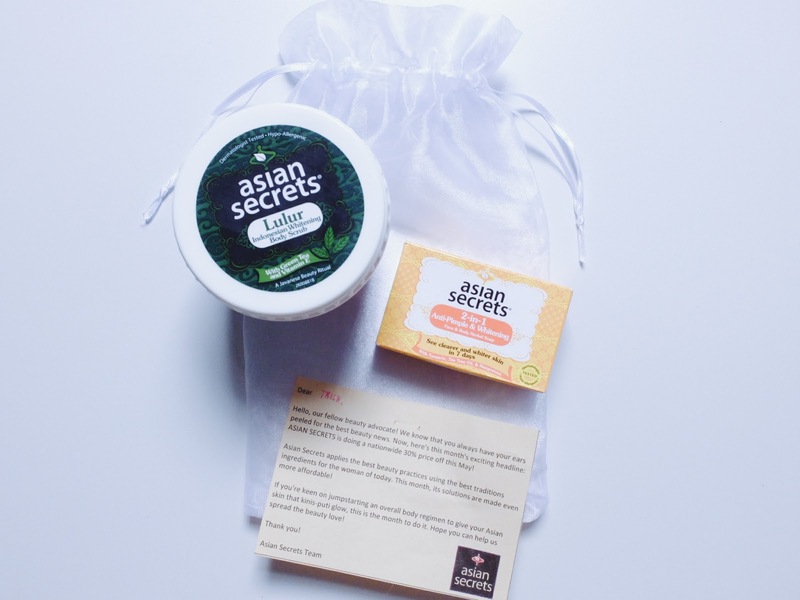 If you're after a quality product that's on the affordable side or thinking of kick-starting a skin regimen, Asian Secrets is a great place to start. It's a no-fuss brand that gives you instant results. I was surprised with how soft my skin turned out after initial use! I'm definitely sticking around to see it even out my skin tone, not much on the overall lightening part, since I'm fine with my skin color. 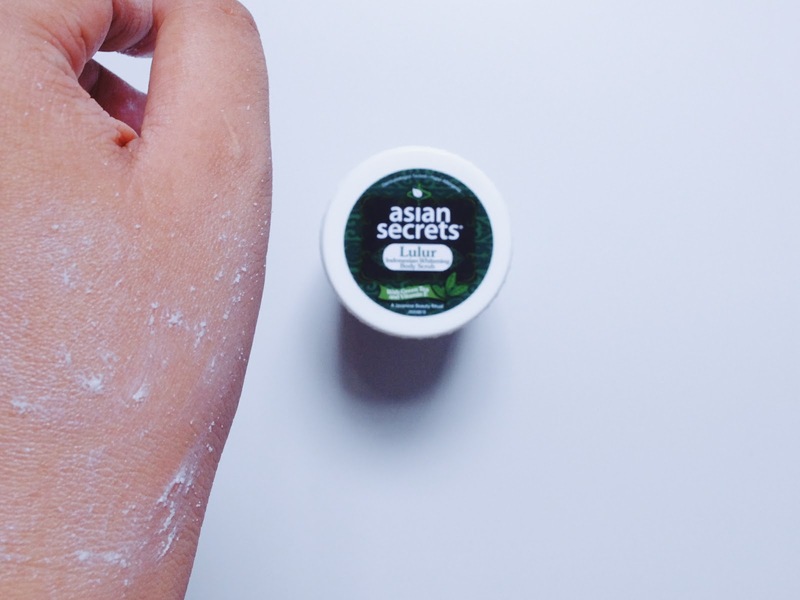 Have you used any Asian Secrets product before? What do you think? Good news! Asian Secrets is at 30% off this month! Exclusively for this month of May, all Asian Secrets products are on a 30% price off! Yes, you read that right. ALL Asian Secrets products—from its whitening dry body scrub variants to its herbal soaps and facial washes —are on a nationwide sale! Included in this month-long sale are your Asian Secrets favorites: the Asian Secrets Green Tea Whitening Dry Body Scrub (now only PhP 95.55 from PhP 136.50 for a 250g tub), which removes dead skin cells and whitens skin; Asian Secrets 2-in-1 Anti-Pimple and Whitening Face & Body Herbal Soap (now only PhP 20.30 from PhP 29), a sulit bar soap that combines the efficacy of antibacterial turmeric, pimple-drying tea tree oil, and skin-healing mangosteen. 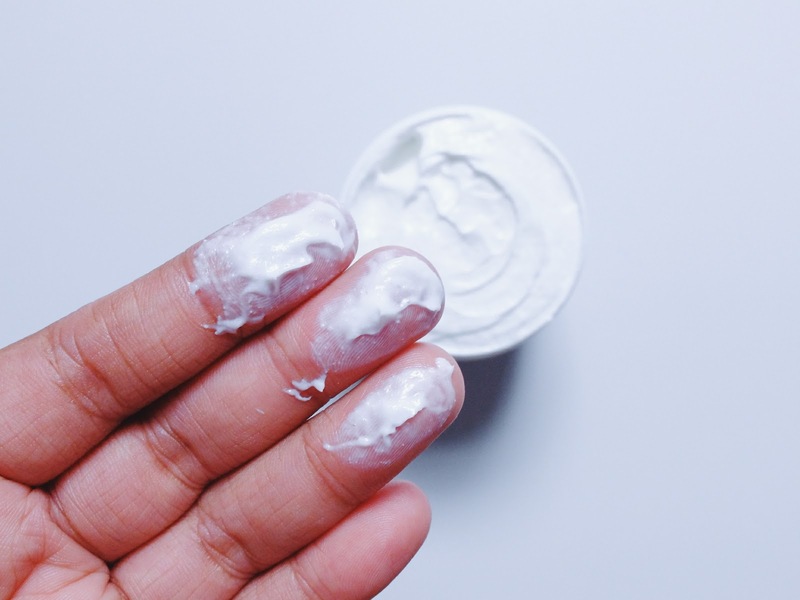 These top faves and all other Asian Secrets products are on sale, so it’s definitely time to achieve the kinis-puti skin you’ve always wanted. The 30% price off promo runs from May 1 to 31. For more information, visit Asian Secrets' official Facebook page.